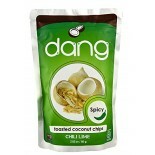 Attributes: Dairy Free, Natural or Organic Ingredients, Vegan, Wheat Free, Yeast FreeIngredients: Coconut, Cane Sugar, Chili Lime Seasoning (Chili. 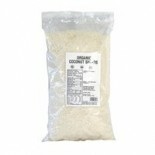 Lime, Garlic, Onion, Pepper, Kaffir Lime, Citric Acid), Coconut Oil, Salt.. 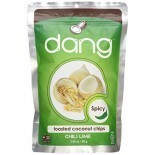 Attributes: Dairy Free, Gluten Free, Natural or Organic Ingredients, Vegan, Wheat Free, Yeast FreeIngredients: Coconut, Cane Sugar, Chili Lime Seasoning (Chili. 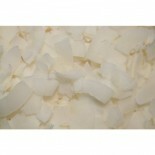 Lime, Garlic, Onion, Pepper, Kaffir Lime, Citric Acid), Coconut Oil, Salt.. 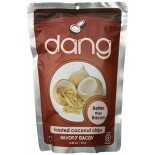 Attributes: Dairy Free, Gluten Free, Natural or Organic Ingredients, Non-GMO Project Verified , Vegan, Wheat Free, Yeast FreeIngredients: Coconut, Bacon Seasoning (Cane Sugar, Salt, Onion Powder, Garlic Powder, Chili Powder, Pepper, Bacon Flavor), Coconut Oil.. 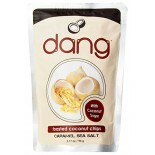 Attributes: Dairy Free, Gluten Free, Natural or Organic Ingredients, Non-GMO Project Verified , Vegan, Wheat FreeIngredients: Coconut, Bacon Seasoning (Cane Sugar, Salt, Onion Powder, Garlic Powder, Chili Powder, Pepper, Bacon Flavor), Coconut Oil.. 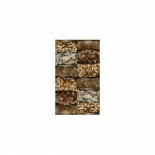 Attributes: Foodservice (Bulk Pack), Natural or Organic IngredientsIngredients: Organically Grown Dried Apples.Nutritions: Calcium(0), Calories(90), Cholesterol(0), Dietaryfiber(3), Fromfat(0), Iron(2), Protein(0), Saturatedfat(0), Servingscontainer(N/A), Servingsize(6 rings (38g)), Sodium(35), Suga.. 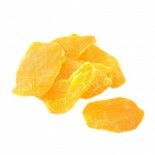 Attributes: Foodservice (Bulk Pack), Natural or Organic IngredientsIngredients: Turkish Apricots sulfur dioxide as a preservative. 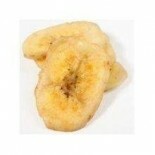 May contain pit or pit fragments.Nutritions: Calcium(4), Calories(90), Cholesterol(0), Dietaryfiber(3), Fromfat(0), Iron(8), Protein(1), Saturatedfat(0), Servingscont.. 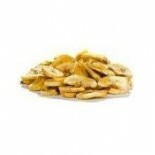 Attributes: Foodservice (Bulk Pack), Kosher, Natural or Organic IngredientsIngredients: Organic bananas, organic coconut oil, organic sugar.Nutritions: Calcium(0), Calories(150), Cholesterol(0), Dietaryfiber(1), Fromfat(60), Iron(2), Protein(1), Saturatedfat(7), Servingscontainer(1), Servingsize(1/4.. Attributes: Foodservice (Bulk Pack), Natural or Organic IngredientsIngredients: Banana, coconut oil, sugar, and natural banana flavor.Nutritions: Calcium(0), Calories(150), Cholesterol(0), Dietaryfiber(1), Fromfat(70), Iron(2), Protein(1), Saturatedfat(7), Servingscontainer(N/A), Servingsize(1/4 cup.. 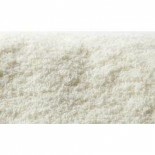 Attributes: Foodservice (Bulk Pack), Natural or Organic IngredientsNutritions: Calcium(N/A), Calories(308), Cholesterol(N/A), Dietaryfiber(1.5), Fromfat(13), Iron(N/A), Protein(3.2), Saturatedfat(N/A), Servingscontainer(N/A), Servingsize(100 g), Sodium(2.5), Sugars(62), Totalcarbs(71), Totalfat(1.5).. Attributes: Natural or Organic IngredientsIngredients: Organic Mission FigsNutritions: Calcium(6), Calories(112.7), Cholesterol(0), Dietaryfiber(5), Fromfat(1.9), Iron(6), Protein(1.25), Saturatedfat(0), Servingscontainer(N/A), Servingsize(40g), Sodium(4.9), Sugars(19.6), Totalcarbs(26.46), Totalfat.. 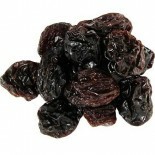 Attributes: Kosher, Natural or Organic IngredientsIngredients: Blueberries, Apple Juice Concentrate, Organic Canola Oil. .. Attributes: Kosher, Natural or Organic IngredientsIngredients: Organic Wild Blueberries, Organic Dried Cane Syrup, Organic Sunflower OilNutritions: Calcium(N/A), Calories(347.62), Cholesterol(0), Dietaryfiber(11.40), Fromfat(N/A), Iron(N/A), Protein(.097), Saturatedfat(0), Servingscontainer(N/A), Se.. 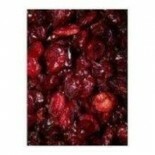 Attributes: Kosher, Natural or Organic IngredientsIngredients: Pitted bing cherries. Nutritions: Calcium(2), Calories(150), Cholesterol(0), Dietaryfiber(9), Fromfat(0), Iron(11), Protein(2), Saturatedfat(0), Servingscontainer(N/A), Servingsize(1/3 cup (45g)), Sodium(7), Sugars(22), Totalcarbs(35), .. 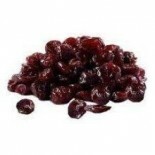 Attributes: Foodservice (Bulk Pack), Natural or Organic IngredientsIngredients: Dried Cherries, Cane Sugar, Sunflower oil.Nutritions: Calcium(1.75), Calories(85.025), Cholesterol(0), Dietaryfiber(1.07), Fromfat(N/A), Iron(8.5), Protein(.7175), Saturatedfat(0), Servingscontainer(N/A), Servingsize(25g.. Attributes: Natural or Organic IngredientsIngredients: Dried Red Tart Cherries, Sunflower Oil.Nutritions: Calcium(6), Calories(150), Cholesterol(0), Dietaryfiber(3), Fromfat(10), Iron(15), Protein(1), Saturatedfat(0), Servingscontainer(103), Servingsize(1/3 cup (about 44g)), Sodium(0), Sugars(16), T.. 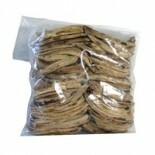 Attributes: Foodservice (Bulk Pack), Natural or Organic IngredientsIngredients: Dried Coconut. Nutritions: Calcium(2), Calories(260), Cholesterol(0), Dietaryfiber(7), Fromfat(230), Iron(8), Protein(3), Saturatedfat(22), Servingscontainer(N/A), Servingsize(1/2 cup (39g)), Sodium(15), Sugars(3), Total.. 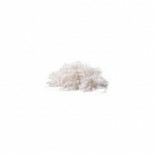 Attributes: Foodservice (Bulk Pack), Natural or Organic IngredientsIngredients: Organic Medium shred dessicated coconut.Nutritions: Calcium(11), Calories(187), Cholesterol(0), Dietaryfiber(4.6), Fromfat(122), Iron(.5), Protein(2), Saturatedfat(16.2), Servingscontainer(N/A), Servingsize(1oz 28g), Sod.. Attributes: Kosher, Natural or Organic IngredientsIngredients: Apple juice concentrate, cranberries, sunflower oil.Nutritions: Calcium(N/A), Calories(334), Cholesterol(0), Dietaryfiber(7.27), Fromfat(5), Iron(N/A), Protein(.94), Saturatedfat(.05), Servingscontainer(N/A), Servingsize(3.5 oz. (100g)),.. Attributes: Foodservice (Bulk Pack), Natural or Organic IngredientsIngredients: Cranberries, sugar, sunflower oil.Nutritions: Calcium(N/A), Calories(326), Cholesterol(0), Dietaryfiber(4.7), Fromfat(5.2), Iron(N/A), Protein(.4), Saturatedfat(.05), Servingscontainer(N/A), Servingsize(100), Sodium(3.4).. Attributes: Natural or Organic IngredientsIngredients: Cranberries, sugar, sunflower oil.Nutritions: Calcium(N/A), Calories(326), Cholesterol(0), Dietaryfiber(4.7), Fromfat(5.2), Iron(N/A), Protein(.4), Saturatedfat(0), Servingscontainer(N/A), Servingsize(100g), Sodium(3.4), Sugars(66.7), Totalcarbs.. 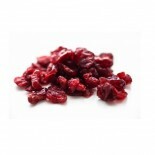 Attributes: Foodservice (Bulk Pack), Kosher, Natural or Organic IngredientsIngredients: Certified Organic Cranberries, Certified Organic Evaporated Cane Juice, Certified Organic Sunflower Oil.Nutritions: Calcium(14.30), Calories(326), Cholesterol(0), Dietaryfiber(4.78), Fromfat(5.27), Iron(.65), Pro.. 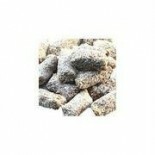 Attributes: Natural or Organic IngredientsIngredients: Ginger, Cane Sugar.. 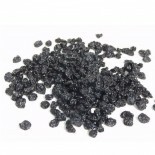 Attributes: Foodservice (Bulk Pack), Kosher, Natural or Organic IngredientsIngredients: Dried Unsulphured Currants, sunflower oil.Nutritions: Calcium(4), Calories(100), Cholesterol(0), Dietaryfiber(2), Fromfat(0), Iron(6), Protein(1), Saturatedfat(0), Servingscontainer(N/A), Servingsize(1/4 cup (36g.. 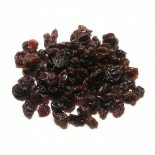 Attributes: Foodservice (Bulk Pack), Natural or Organic IngredientsIngredients: Organic Zante Currant Raisins-trace sunflower oil as anti caking agent.Nutritions: Calcium(8), Calories(493), Cholesterol(0), Dietaryfiber(6), Fromfat(N/A), Iron(17), Protein(5), Saturatedfat(0), Servingscontainer(N/A), .. Attributes: Dairy Free, Gluten Free, Kosher, Natural or Organic Ingredients, Wheat FreeIngredients: Dates, Unsweetened Coconut.Nutritions: Calcium(0), Calories(110), Cholesterol(0), Dietaryfiber(2), Fromfat(30), Iron(2), Protein(1), Saturatedfat(2), Servingscontainer(N/A), Servingsize(30g), Sodium(1.. 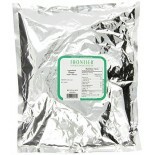 Attributes: Foodservice (Bulk Pack), Kosher, Natural or Organic IngredientsIngredients: Organically Grown Shredded Coconut and Organic CA Delet Noors.Nutritions: Calcium(0), Calories(110), Cholesterol(0), Dietaryfiber(2), Fromfat(30), Iron(2), Protein(1), Saturatedfat(2), Servingscontainer(N/A), Ser.. Attributes: Dairy Free, Kosher, Natural or Organic Ingredients, Wheat FreeNutritions: Calcium(2), Calories(120), Cholesterol(0), Dietaryfiber(3), Fromfat(0), Iron(2), Protein(18), Saturatedfat(0), Servingscontainer(N/A), Servingsize(2 TBSP), Sodium(10), Sugars(22), Totalcarbs(30), Totalfat(0), Trans.. 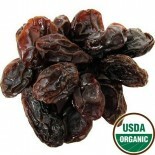 Attributes: Foodservice (Bulk Pack), Kosher, Natural or Organic IngredientsIngredients: California Grown Deglet Noor Dates And Oat Flour.Nutritions: Calcium(2), Calories(120), Cholesterol(0), Dietaryfiber(3), Fromfat(0), Iron(2), Protein(1), Saturatedfat(0), Servingscontainer(N/A), Servingsize(about.. 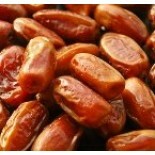 Attributes: Foodservice (Bulk Pack), Kosher, Natural or Organic IngredientsIngredients: California grown deglet noor dates and oat flour. Nutritions: Calcium(2), Calories(120), Cholesterol(0), Dietaryfiber(3), Fromfat(0), Iron(2), Protein(1), Saturatedfat(0), Servingscontainer(8), Servingsize(2 Tbsp.. Attributes: Natural or Organic IngredientsNutritions: Calcium(N/A), Calories(291), Cholesterol(N/A), Dietaryfiber(1.9), Fromfat(N/A), Iron(N/A), Protein(2.2), Saturatedfat(N/A), Servingscontainer(N/A), Servingsize(100g), Sodium(4.6), Sugars(65.7), Totalcarbs(70.4), Totalfat(0.1), Transfat(N/A), Vita.. 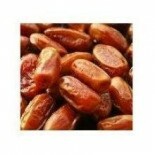 Attributes: Foodservice (Bulk Pack), Kosher, Natural or Organic IngredientsIngredients: Organic Deglet Noor Dates.Nutritions: Calcium(2), Calories(120), Cholesterol(0), Dietaryfiber(3), Fromfat(0), Iron(2), Protein(1), Saturatedfat(0), Servingscontainer(N/A), Servingsize(5 pieces (42g)), Sodium(0), .. 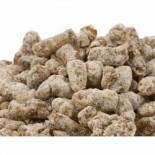 Attributes: Foodservice (Bulk Pack), Kosher, Natural or Organic IngredientsIngredients: Organic dried figs.Nutritions: Calcium(10), Calories(120), Cholesterol(0), Dietaryfiber(6), Fromfat(0), Iron(6), Protein(1), Saturatedfat(0), Servingscontainer(N/A), Servingsize(40 g (about 2 pieces)), Sodium(40).. 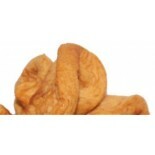 Attributes: Foodservice (Bulk Pack), Natural or Organic IngredientsIngredients: Ginger and Sugar. Not Irradiated.Nutritions: Calcium(4), Calories(150), Cholesterol(0), Dietaryfiber(1), Fromfat(0), Iron(2), Protein(0), Saturatedfat(0), Servingscontainer(N/A), Servingsize(6 slices (40g)), Sodium(25), .. 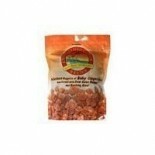 Attributes: Kosher, Natural or Organic IngredientsIngredients: Certified organic goji berries (lycium barbarum).Nutritions: Calcium(6), Calories(110), Cholesterol(0), Dietaryfiber(3), Fromfat(0), Iron(10), Protein(4), Saturatedfat(0), Servingscontainer(N/A), Servingsize(1 oz (28g)), Sodium(84), Suga.. Attributes: Gluten Free, Kosher, Natural or Organic IngredientsIngredients: 100% fresh incaberries Nutritions: Calcium(0), Calories(80), Cholesterol(0), Dietaryfiber(3), Fromfat(0), Iron(6), Protein(2), Saturatedfat(0), Servingscontainer(N/A), Servingsize(1oz(28g)), Sodium(25), Sugars(9), Totalcarb.. 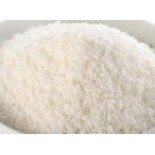 Attributes: Natural or Organic IngredientsIngredients: Mango, Cane Sugar.. 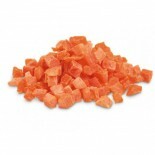 Attributes: Natural or Organic IngredientsIngredients: Papaya, Cane Sugar.. 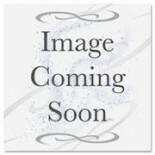 Attributes: Natural or Organic IngredientsIngredients: Pineapple, Cane Sugar.. Attributes: Foodservice (Bulk Pack), Natural or Organic IngredientsIngredients: Mango, sugar, citric acid.Nutritions: Calcium(2), Calories(140), Cholesterol(0), Dietaryfiber(1), Fromfat(0), Iron(2), Protein(0), Saturatedfat(0), Servingscontainer(N/A), Servingsize(About 6 Pieces (40g)), Sodium(15), S.. 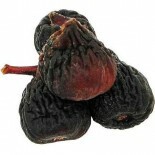 Attributes: Foodservice (Bulk Pack), Kosher, Natural or Organic IngredientsIngredients: Organically grown natural unsulfured black mission figs.Nutritions: Calcium(6), Calories(110), Cholesterol(0), Dietaryfiber(5), Fromfat(0), Iron(6), Protein(1), Saturatedfat(0), Servingscontainer(N/A), Servingsiz.. 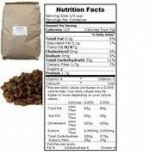 Attributes: Foodservice (Bulk Pack), Natural or Organic IngredientsIngredients: Papaya and Sugar.Nutritions: Calcium(6), Calories(140), Cholesterol(0), Dietaryfiber(1), Fromfat(0), Iron(0), Protein(0), Saturatedfat(0), Servingscontainer(N/A), Servingsize(1/4 cup (40g)), Sodium(5), Sugars(23), Totalc.. Attributes: Natural or Organic IngredientsIngredients: Papaya and sugarNutritions: Calcium(6), Calories(140), Cholesterol(0), Dietaryfiber(1), Fromfat(0), Iron(0), Protein(0), Saturatedfat(0), Servingscontainer(N/A), Servingsize(1/4 cup (40g)), Sodium(5), Sugars(23), Totalcarbs(35), Totalfat(0), Tra.. 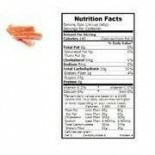 Attributes: Foodservice (Bulk Pack), Kosher, Natural or Organic IngredientsIngredients: Pineapple and cane sugar.Nutritions: Calcium(2), Calories(140), Cholesterol(0), Dietaryfiber(2), Fromfat(0), Iron(2), Protein(0), Saturatedfat(0), Servingscontainer(N/A), Servingsize(About 10 pcs (40g)), Sodium(2.. Attributes: Natural or Organic IngredientsIngredients: Pineapple and sugarNutritions: Calcium(2), Calories(140), Cholesterol(0), Dietaryfiber(2), Fromfat(0), Iron(2), Protein(0), Saturatedfat(0), Servingscontainer(N/A), Servingsize(1/4 cup (40g)), Sodium(20), Sugars(24), Totalcarbs(34), Totalfat(0),.. 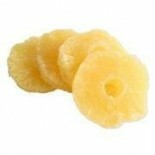 Attributes: Foodservice (Bulk Pack), Natural or Organic IngredientsIngredients: Organic Dried Pineapple Rings.Nutritions: Calcium(2), Calories(110), Cholesterol(0), Dietaryfiber(1.5), Fromfat(2), Iron(7), Protein(1), Saturatedfat(0), Servingscontainer(N/A), Servingsize(38g), Sodium(1.25), Sugars(22).. 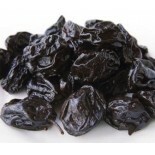 Attributes: Kosher, Natural or Organic IngredientsIngredients: Organic Pitted Prunes(dried plums).Nutritions: Calcium(2), Calories(110), Cholesterol(0), Dietaryfiber(3), Fromfat(0), Iron(4), Protein(1), Saturatedfat(0), Servingscontainer(N/A), Servingsize(42g), Sodium(0), Sugars(18), Totalcarbs(25),.. 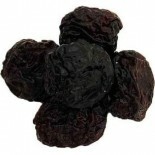 Attributes: Foodservice (Bulk Pack), Kosher, Natural or Organic IngredientsIngredients: Organic Dried Prunes.Nutritions: Calcium(2), Calories(100), Cholesterol(0), Dietaryfiber(4), Fromfat(0), Iron(6), Protein(1), Saturatedfat(0), Servingscontainer(N/A), Servingsize(5 pieces (42g)), Sodium(0), Sugar.. 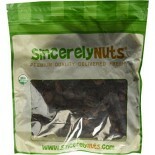 Attributes: Foodservice (Bulk Pack), Natural or Organic IngredientsIngredients: Organically Grown Seedless Flame Raisins, organic vegetable and/or organic sunflower oil.Nutritions: Calcium(2), Calories(120), Cholesterol(0), Dietaryfiber(2), Fromfat(0), Iron(4), Protein(1), Saturatedfat(0), Servingsc.. Attributes: Foodservice (Bulk Pack), Natural or Organic IngredientsIngredients: Seedless grapes.Nutritions: Calcium(N/A), Calories(125), Cholesterol(0), Dietaryfiber(1.7), Fromfat(N/A), Iron(N/A), Protein(1.3), Saturatedfat(0.1), Servingscontainer(N/A), Servingsize(1/4 cup ), Sodium(5), Sugars(N/A),.. 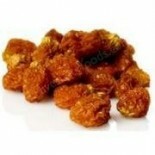 Attributes: Foodservice (Bulk Pack), Kosher, Natural or Organic IngredientsIngredients: Organic Seedless Jumbo Flame Raisins, and Organic Sunflower oil.Nutritions: Calcium(2), Calories(120), Cholesterol(0), Dietaryfiber(2), Fromfat(0), Iron(6), Protein(1), Saturatedfat(0), Servingscontainer(N/A), Se.. Attributes: Natural or Organic IngredientsNutritions: Calcium(N/A), Calories(299), Cholesterol(0), Dietaryfiber(3.7), Fromfat(N/A), Iron(N/A), Protein(3.07), Saturatedfat(.058), Servingscontainer(N/A), Servingsize(100g), Sodium(11), Sugars(59.19), Totalcarbs(79.18), Totalfat(.46), Transfat(N/A), Vit.. 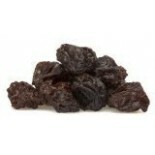 Attributes: Foodservice (Bulk Pack), Kosher, Natural or Organic IngredientsIngredients: Organic select thompson seedless raisins, and organic sunflower oil.Nutritions: Calcium(2), Calories(130), Cholesterol(0), Dietaryfiber(2), Fromfat(0), Iron(6), Protein(1), Saturatedfat(0), Servingscontainer(11),.. 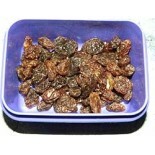 Attributes: Natural or Organic IngredientsIngredients: Organic select thompson seedless raisins, and organic sunflower oil.Nutritions: Calcium(2), Calories(130), Cholesterol(0), Dietaryfiber(2), Fromfat(0), Iron(6), Protein(1), Saturatedfat(0), Servingscontainer(N/A), Servingsize(1/4 cup (40g)), Sod.. 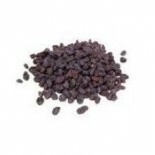 Attributes: Foodservice (Bulk Pack), Natural or Organic IngredientsIngredients: Sun-dried seedless grapes, and small amount of sunflower oil to prevent clumping.Nutritions: Calcium(N/A), Calories(125), Cholesterol(0), Dietaryfiber(1.7), Fromfat(N/A), Iron(N/A), Protein(1.7), Saturatedfat(0.1), Servi.. Attributes: Contains Refined Sugars, Foodservice (Bulk Pack), Natural or Organic Ingredients, Non-GMO Project VerifiedIngredients: Ginger, cane sugar, fructose. 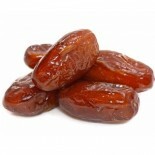 Nutritions: Calcium(4), Calories(100), Cholesterol(0), Dietaryfiber(0), Fromfat(0), Iron(6), Protein(0), Saturatedfat(N/A), Servingscontai.. 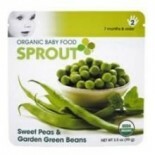 Attributes: Foodservice (Bulk Pack), Natural or Organic IngredientsIngredients: Diced baby ginger root and raw cane sugar.Nutritions: Calcium(N/A), Calories(106), Cholesterol(0), Dietaryfiber(0), Fromfat(0), Iron(N/A), Protein(0), Saturatedfat(0), Servingscontainer(N/A), Servingsize(about 5 pieces),..